There is this really great blog I follow called Be Like Water. Best I can tell Be Like Water is a production company for movies and music and I really like the album they have on the blog by Ryan Fu. Today on the Be Like Water blog I read a post that wished me a Happy National Root Beer Float day and had a recipe for a Root Beer Float. Isn’t that nice? 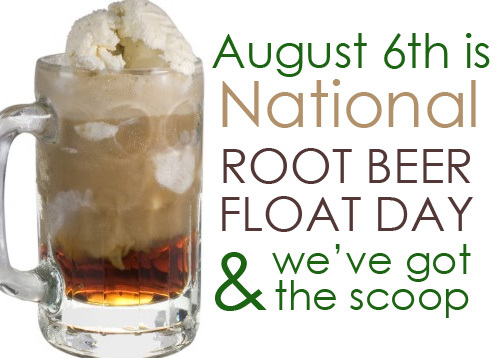 It seems that today is actually Root Beer Float day. That is really cool too. I love root beer floats. Root Beer floats taste great. I mean it is ice cream and root beer how could that not taste great? This is a big part of the reason that I say I love root beer floats. Root Beer Floats also take me back to a time when I was young and my worries were far removed. This first pull on the straw coming out of the mug brings me back to my home town. Striking out at baseball was my biggest concern then. I remember riding with my folks and sisters to the dogs and suds restaurant and getting so much root beer that we all got sick. Root Beer floats make me think of taking a ride with an old friend to this ice cream parlor that at one time was a families home. I love root beer floats. Don’t worry about me my nostalgia is not a longing as much as it is just fond memories. Now I see my own kids enjoying the worry free life and I smile a little and enjoy now (worries and all) as much as I did and do enjoy “then”. I feel like I am experiencing so much that life is a great gift now and then. I think it is this attitude of gratitude that prevents longing for the past for me. i am truly grateful for this life. Every day is a gift and I love root beer floats and life. I really do. Will Nasa save us again?